This bike was spotted on Columbia Street in Chinatown recently. It's a real gem (an NSU), from the early 50s I'm guessing. Whether or not the colour is authentic I couldn't say but I have doubts. Great ride, would have been fun to shoot a Brenizer-method photo here. 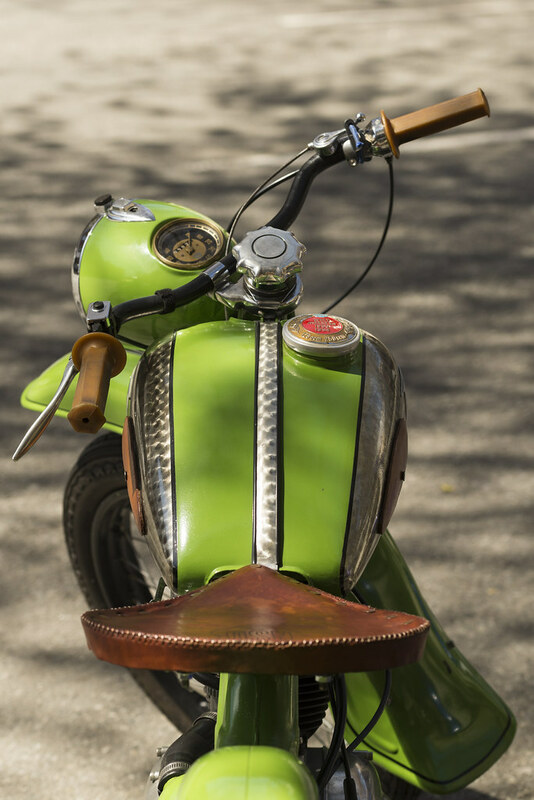 Love the old fashioned leather looking seat.